Interest in tablets has been waning for years -- even Apple can’t really get us that excited about new iPads. People are still buying Amazon’s Kindle Fires, but mainly because they are so attractively priced. 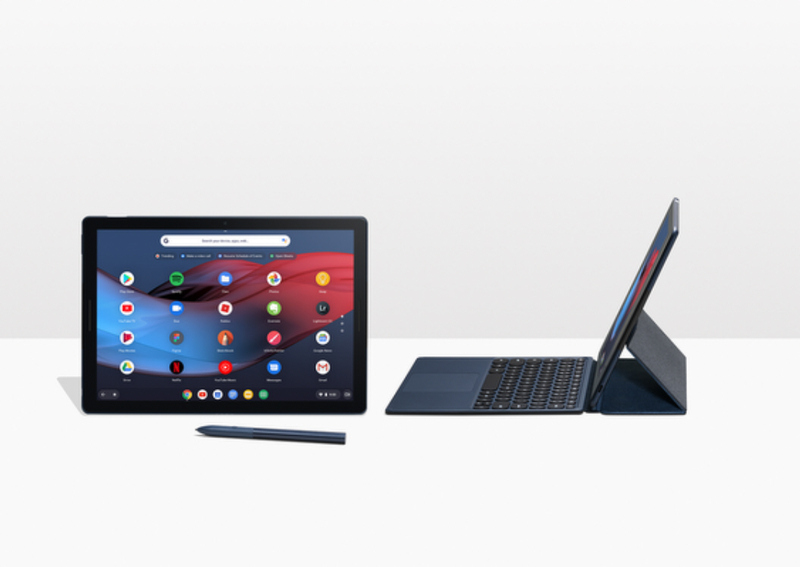 At its 'Made by Google' event in New York today, Google revealed a brand new Chrome OS tablet called the Pixel Slate with an optional keyboard and Pixelbook Pen. The 12.3-inch tablet is thin, at just 7mm, weighs 1.6 pounds, and has a 3,000 x 2,000 resolution screen (293ppi), front-facing stereo speakers, and a USB-C port at the bottom. It also has dedicated 8MP front and rear-facing cameras. The front-facing Duo Cam provides an extra wide field of view with exceptional low light performance. There’s no headphone jack, but it does include a fingerprint sensor in the power button. Google says you can expect to get 12 hours of battery life with typical use. Chrome OS has been redesigned and offers two different profiles -- desktop mode when the tablet detects a mouse or trackpad, and touch mode, which is more Android-like. 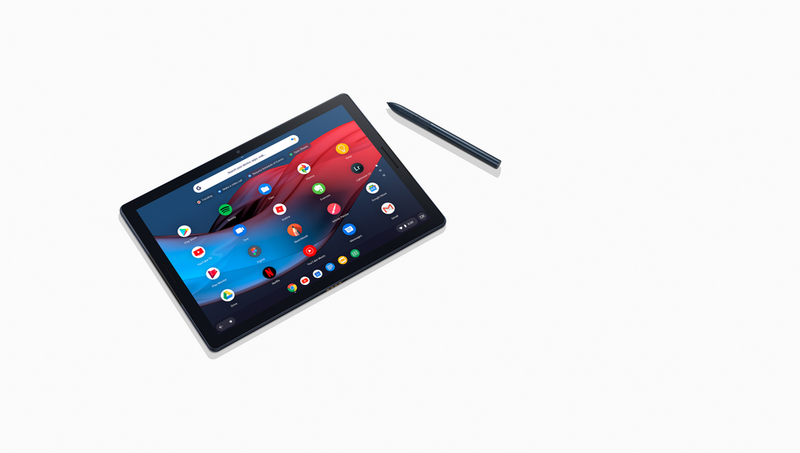 Google says the Pixel Slate is "designed to entertain and help you do more in a fresh, mobile form. 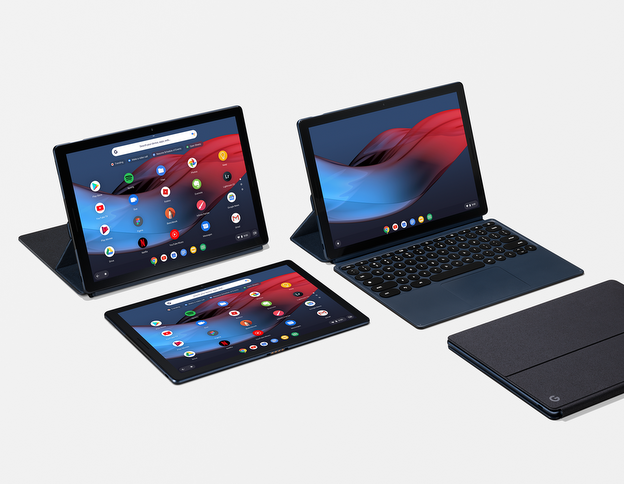 We combined a touch-first user interface, optimized Android apps and powerful desktop-style features in Chrome OS to deliver a no-compromise device." The tablet will cost $599, the keyboard an additional $199, and the Pixelbook Pen $99. All three will be available to buy later this year through the Google Store, and at major retailers in the US, Canada and the UK.